The goal of the manual is to supply an operational tool for pedologists, agronomists, environmentalists, and all of the other specialists who carry out land evaluation for agriculture and forestry or, more generally, stakeholders and policy makers who make decisions at the local level based on the knowledge of the nature of soil. Discussion of the topics is not only technical and operational, but also in-depth and didactic; therefore, the text may also be used as a valid complement for students majoring in subjects that involve soil use, management and conservation. 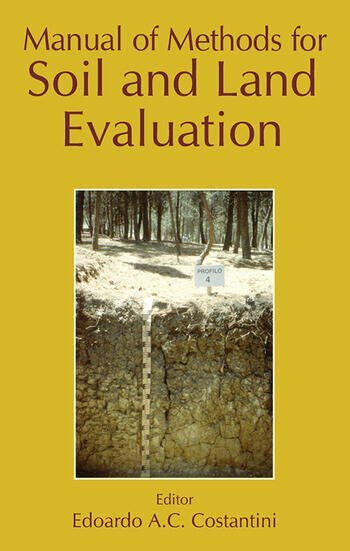 The literature offers a wide choice of possible soil and land evaluation methods, while knowledge of the relationships existing between the physical characteristics of lands, particularly those of soils, and the requirements of specific uses is limited.